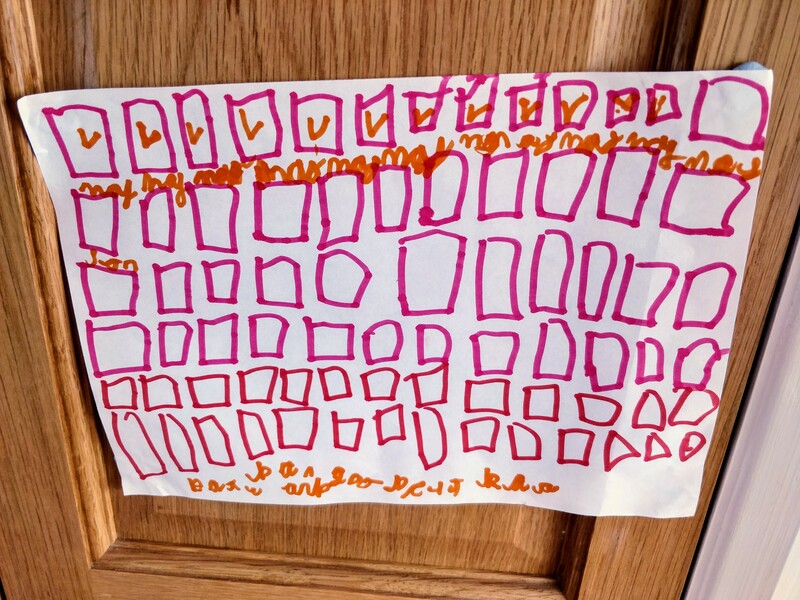 Since the creation of the ‘Good Day Chart’ The Small One has had chronic hayfever, not much sleep, fallen over on numerous occasions, experienced a few disasterous playdates, and her fairy glitter tattoo rubbed off prematurely in the bath (resulting in much sadness). Yet, at the end of the day, the good has always outweighed the bad, a tick goes in the box, and ‘good’ is written underneath. Small One, you are pretty cool.